Enter a world where adventure is awaiting and courage leads the way at Disney On Ice presents Dream Big. Join Tinker Bell as she takes you on a journey of beloved Disney tales LIVE ON ICE. Make a splash with the fearless dreamer Ariel and watch Rapunzel, Cinderella, Snow White, Tiana and Belle remind you to always be strong, kind and fearless. Travel to the wintry world of Arendelle with Anna, Elsa and Olaf from Disney’s Frozen as they learn that true love is the greatest magic of all. Be there to discover a whole new world with the daring Jasmine. 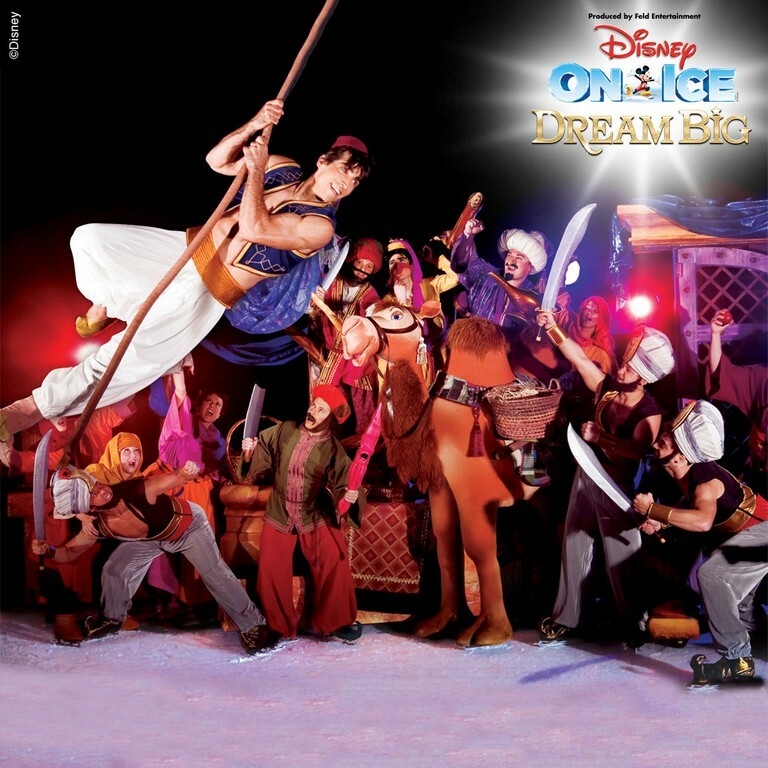 Believing is just the beginning when Disney On Ice presents Dream Big skates into South Africa! Jhb: Win a set of 4 family tickets (4 tickets for each prizewinner –2 adults and 2 children/1 adult and 3 children) to Disney On Ice at the Ticketpro Dome on Friday, 22 June 2018 commencing 18h00. Cape Town: Win a set of 4 family tickets (4 tickets for each prizewinner –2 adults and 2 children/1 adult and 3 children) to Disney On Ice at the GrandWest on Wednesday, 11 July 2018 commencing 18h00. Snow White stays in a cottage with whom? Email you answer to win@48hours.co.za before Tuesday 19 June 2018. Winners will be notified via email. The prize comprises of four show tickets per prize winner i.e. 2 adults and 2 children/1 adult over the age of 18 years and 3 children. Please note that owing to safety regulations each person irrespective of age must have a ticket. Tickets will be available for collection from the MEDIA DESK at the venue from one hour prior to performance time, on the date of the performance.